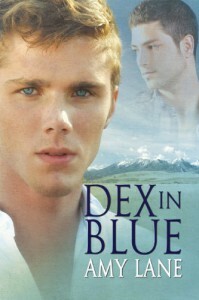 I love Dex; he is by far my favourite character in this series, but after this re-read Kane is catching up. Dex is the mother hen of Johnnies. He keeps the business running smoothly while John's life is spiralling down the drain, he’s the one everyone turns to when they have a problem. So he was the natural place for Kane to turn to when was kicked out of his house by his conniving sister. He often doesn’t have the words to express what he is feeling, yet the simplicity of what he actually says when he is expressing his feelings is beautiful. There are miscommunications between the guys, but these are cleared up very quickly, as well as family problems that carried on in Kane’s case throughout the book. The conclusion of Kane’s family issues, was both disappointing in Lola’s case (I would have liked to see a different outcome for Lola) but great for Kane and Dex. I liked Dex’s decisiveness in this situation, he just acted knowing exactly what needed to be done and sure of Kane’s support.